You’ve read about how early stage companies leverage personal assets to fund their businesses. In the past five years, crowdfunding sites have changed the rules, allowing companies to reach a wider audience of supporters and help validate ideas before they are fully realized. Three friends from Quebec are leveraging the power of Indiegogo to launch their first business. So far, they’ve been able to raise more than $13,000 of their $15,000 goal to build a yoga and surf hostel in Nicaragua next to the Pacific Coast. “We want to inspire a generation and tell them that we can still believe that one day we will achieve our dreams,” says Karl Pineault, co-founder of Free Spirit Hostel. Not every campaign succeeds, however. In fact, 80 per cent of Indiegogo projects fail to raise more than a quarter of their goal, according to 2013 results from its search engine. So why do some crowdfunding campaigns flourish while others flounder? 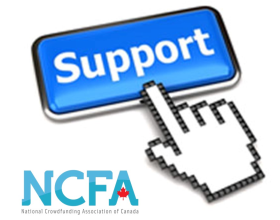 On Friday, Sept. 19 at 1 p.m. (ET) we will hold our first microbusiness live discussion focused on crowdfunding tips and put reader questions to our participants: Karl Pineault and Laurent Champagn of Free Spirit Hostel and Daryl Hatton, founder and CEO of FundRazr, Canada’s largest reward-based crowdfunding portal. We’ll consider the importance of crafting a compelling message and setting realistic goals, as well as the kinds of incentives to offer funders or investors. If you’d like to join the conversation, simply click on the ScribbleLive box below. Mobile users may want to click here for an easier-to-read format.